You Can Help Build Strong Marriages! There are many ways to get involved in the movement to build strong marriages and stem the tide of divorce destroying our nation. You can begin work today! Contact us with any questions you have or for help being a part of God's work in this important area. The first thing to do is to make your marriage strong to withstand the storms that will come against it. Learn the Biblical view of marriage and how you strengthen your marriage. Visit our resource list to find books that can help you better understand marriage. Take a stand for Biblical marriage and do not back down. Pray for the marriages of your family and friends. Especially pray for pastor's marriages and those in leadership. Please pray for God's direction and covering over Fortified Marriages Ministry - pray for Chris and Carmen's marriage also. This website contains many resources available to help any couple. Rather than watch the destruction of a marriage, offer to help. Take a couple under your wing - spend time with them and ask questions about their marriage. Provide resources to help them and be a safe place to go to for help. Suggest that your pastor or other leaders look into beginning a marriage ministry or making marriage enrichment events or couples small groups available. The Fortified Marriages Workbook has 52 studies to help couples communication and work together in their marriages. Easy to facilitate, the book contains everything needed to lead a couple’s small group. For more information about leading a small group, click HERE or contact us. 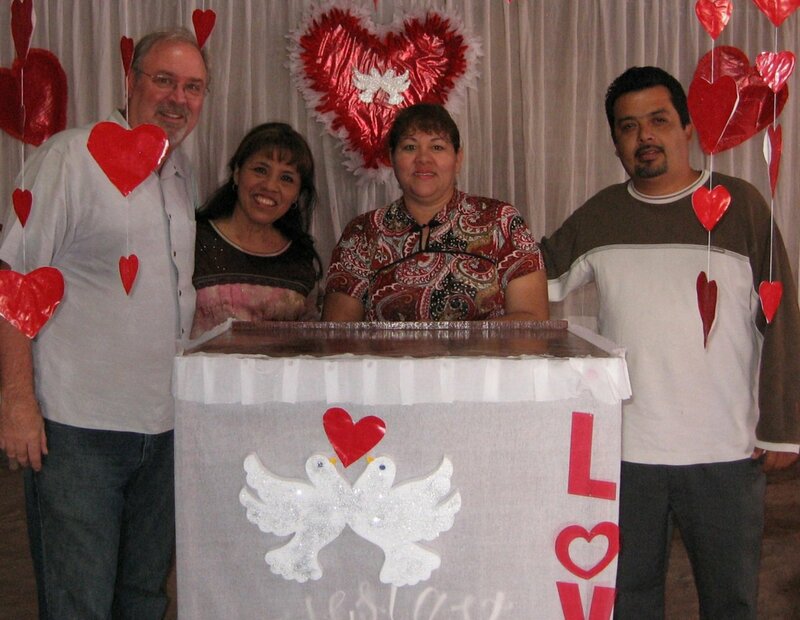 Your donations help build strong marriages in local churches throughout the United States, Latin American and around the world.